Ofcom has fined Royal Mail a record £50m for breaching competition law. The fine is for its actions in 2014 when Whistl, which was then known as TNT, was trying to become its first competitor in wholesale mail delivery. 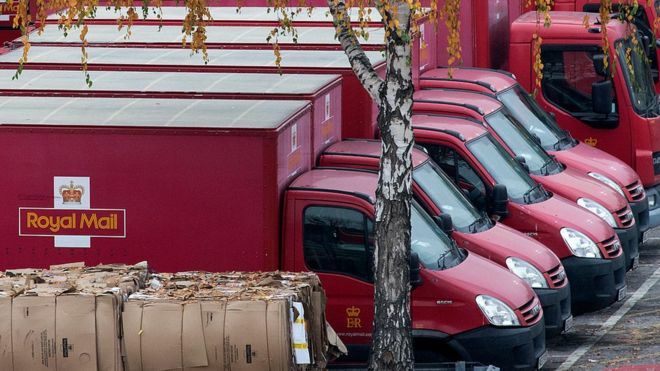 The regulator's investigation, which followed a complaint by Whistl, said Royal Mail had abused its dominant market position and discriminated against the company. Whistl is seeking damages, but Royal Mail said it will challenge the fine. Ofcom's investigation found that Royal Mail price rises in 2014 meant any of its wholesale customers such as Whistl that wanted to compete with it would have to pay higher prices in the remaining areas where it used Royal Mail for delivery. 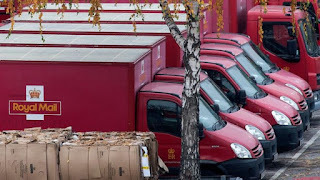 Ofcom's investigation found that Royal Mail's actions amounted to "anti-competitive discrimination against customers, such as Whistl, who sought to deliver bulk mail". Jonathan Oxley, Ofcom's competition director, said: "Royal Mail broke the law by abusing its dominant position in bulk mail delivery. "All companies must play by the rules. Royal Mail's behaviour was unacceptable, and it denied postal users the potential benefits that come from effective competition." Royal Mail said it was "very disappointed" by Ofcom's decision and "strongly refutes any suggestion" that it had breached the Competition Act, adding: "The decision is without merit and fundamentally flawed."